Paris, the capital of France and the City of Light, has a special ability to make it to almost every traveler’s wish list. It is characterized by a global fame in the fields of art, culture, fashion and gastronomy, and a rich history that manifests in architectural and cultural landmarks, including the Eiffel Tower, the Arc de Triomphe and the Notre-Dame cathedral. A city of wide avenues, river cruises, chic boutiques, and a vibrant café culture, Paris makes for a one-of-a-kind holiday. Here are the 15 best hotels that’ll make your Paris getaway all the more memorable. Stay at the Four Seasons Hotel George V for a first-hand experience of the regal luxury, gastronomy, and unique breed of art and culture defining the City of Light. 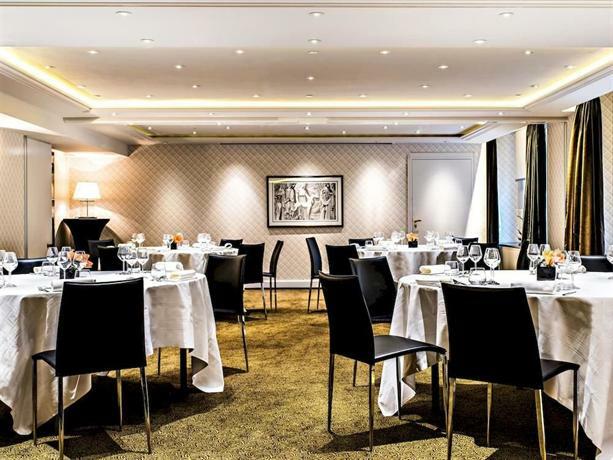 Located between Champs-Elysées and Alma-Marceau, this landmark hotel places you right in the hub of high fashion shopping, museums, premium cafés and restaurants, and minutes away from the Arc de Triomphe and the Eiffel Tower. 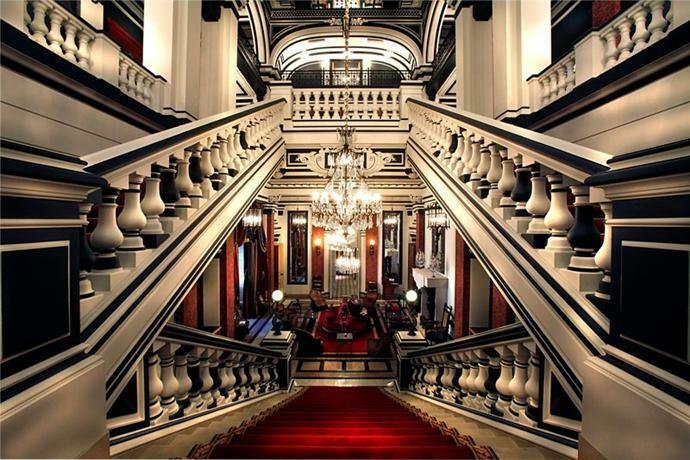 The majestic George V hotel has been receiving guests since 1928. Today, its legacy of palatial comfort is perfectly complemented by the Four Seasons standards of hospitality and modern convenience. A beautiful 8-storey building, the hotel offers 244 guest rooms, a fine dining restaurant with 3 Michelin stars, a bar, a spa, a business center, and some of the most stunning flower arrangements and original artwork in Paris. An exquisite floral décor, along with vintage Louis XV furniture, adorns the sprawling lobby and hallways. Spacious lifts transport you to the guest floors, and into palatial rooms and suites, all featuring king-size beds, period-style desks and beautiful marble bathrooms. Some rooms have attached balconies or terraces, but even those that don’t, manage to offer lovely views of the Paris skyline. For the ultimate regal experience, try the Royal or Presidential suite, to indulge in the luxury of a spacious dressing room, lounge and office. The hotel also offers a modern penthouse with an outdoor sunbed. 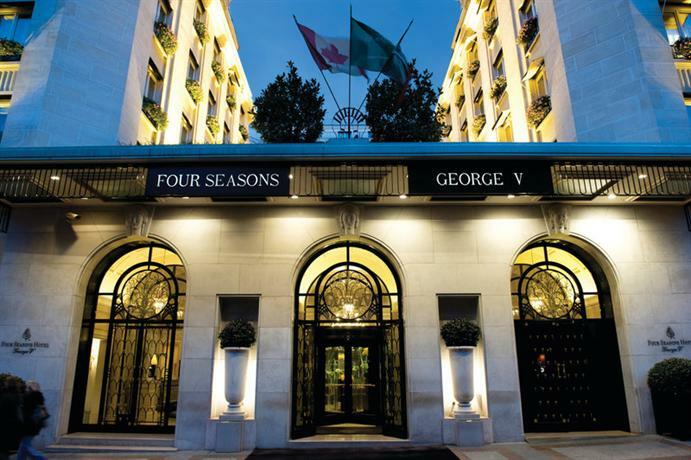 Service at the Four Seasons Hotel George V is efficient, personalized and discreet, with liveried staff and doormen available round-the-clock to assist you with anything you need. Mandarin Oriental Paris, on the Rue Saint-Honoré near the Tuileries Garden, fits right into the idea of a fairy tale holiday. Walking distance from Madeleine metro station and the Louvre museum, this hotel is surrounded by designer boutiques and fashion houses. True to its chic setting, it portrays refined contemporary elegance overlaid with subtle Oriental accents. The linear building presents a quiet, unassuming façade to the avenue outside, transforming into a celebration of greenery and alfresco elegance on the other side. A courtyard garden with beautifully lit outdoor seating is the visual focus of the hotel, seen as soon as one enters the marble tiled lobby. Rooms at Mandarin Oriental Paris are spacious and equipped with the perfect balance of soft fabrics, soothing colors and plush furniture. 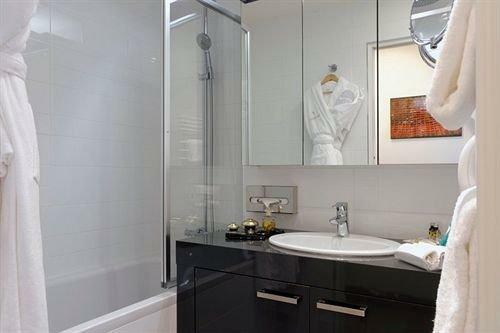 Bathrooms are spacious, fitted with separate baths and shower areas, and sport a fine range of bath linen and toiletries. The hotel’s florist designs superb flower displays that also make their way into your room. Delicious fruit platters greet you upon arrival, and state-of-the-art music systems and iPod docks take care of your entertainment. Guests at the hotel’s suites also receive their own iPads for the duration of their stay. 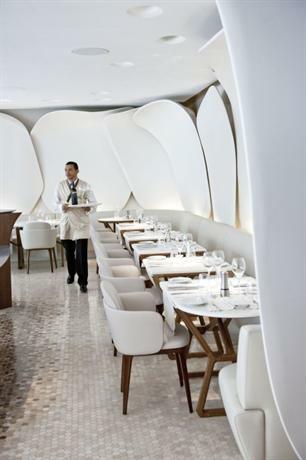 Mandarin Oriental Paris has multiple restaurants serving exquisite French and Avant-Garde Gourmet cuisine. A wellness spa with dedicated suites and a stylish indoor swimming pool area, is also part of the hotel. 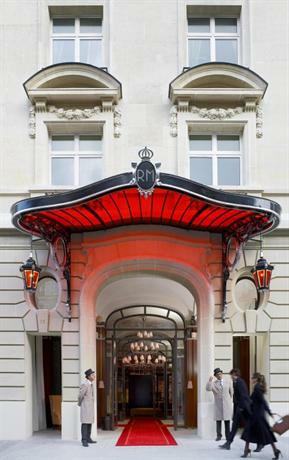 Hotel Le Bristol, on the chic Rue du Faubourg Saint-Honoré, politely refuses to be typecast. It meets all standards of contemporary luxury, but has been doing so since 1925. It captures the essence of Parisian grandeur, but simultaneously explores the uppermost reaches of modern comfort. Its in-house restaurant, Epicure, carves a niche for itself in the world of gastronomy. It is fitting, therefore, that Le Bristol features among the 6 Parisian hotels to be awarded the ‘Palatial’ tag, placing them in a league of their own, over and above the 5-star ranking. 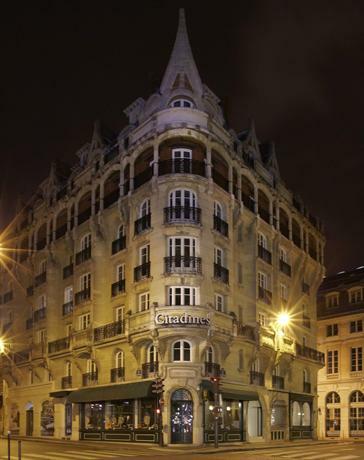 This iconic hotel is minutes away from the Champs-Élysées and Franklin D. Roosevelt metro station. It is flanked by some of the most famous fashion houses and art dealerships in Paris. Packaged in a grand limestone façade are stunning, delicately tinted and gorgeously furnished interiors. The reception extends into a plush lounge and verdant garden. Generous strokes of vintage elegance catch your eye, in the form of 18th century antiques, a working lift from the 1940s, and guest room doors with traditional key-locks instead of cards. Hotel Le Bristol’s 188 rooms and suites are soundproofed from the busy avenue outside, and detailed in subtle color palettes, rich fabrics and Regency-era furniture. Bathrooms are generous, visually magnified by their pale marble finishes, and feature both bathtubs and shower areas. Besides the 3 Michelin-starred Epicure restaurant, Hotel Le Bristol has other feathers in its cap, ranging from its popular spa, to its friendly, approachable service staff. 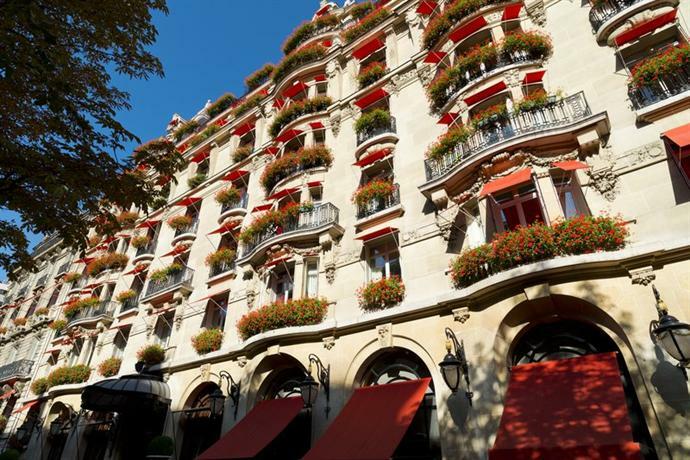 Hotel Plaza Athenee places you in the midst of Parisian haute couture. 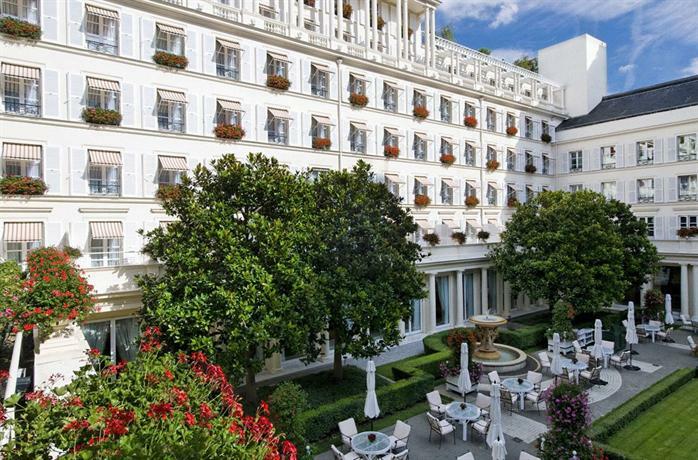 This Dorchester Collection ‘Palace’ hotel occupies prime real estate on Avenue Montaigne, minutes away from Avenue des Champs-Élysées, the Grand Palais, and Alma-Marceau metro station. Stay here to have the likes of Armani, Chanel and Dior for neighbors. Plaza Athenee presents an elaborate, balcony lined façade to the chic Avenue Montaigne, duly matched up by grand, opulent interiors. Walk into a majestic reception with vintage brushed oak furniture, elaborate floral arrangements, crystal chandeliers and a rich mosaic floor. Inviting you into a world of luxury are a Dior wellness spa, the famous Alain Ducasse restaurant, the Le Relais Plaza brasserie dating back to the 1930s, the chic La Galerie tea room, and an alfresco dining space that doubles up as a winter skating rink. Rooms and suites at Hotel Plaza Athenee exhibit a variety of interior schemes, ranging from delicately detailed warm yellows to striking greys and purples. The furniture in the rooms is sleek and contemporary, largely finished in black lacquer. Complementing the ambience are arresting works of modern art that adorn the walls of the guest rooms and public spaces. Rooms on the upper floors of the hotel have amazing views of the Eiffel Tower, beautifully framed by floor-to-ceiling windows, and even aided by viewing telescopes in some cases! Located on the prominent Avenue Hoche, minutes away from the Arc de Triomphe and the Champs-Élysées, Le Royal Monceau-Raffles is the perfect introduction to Parisian elegance. This luxurious boutique hotel successfully serves the additional functions of an art gallery and movie theater. It also manages to pay fitting tributes to the historic and contemporary sides of Paris. Stately arches and classic stucco work on the building façade meet a stylish cosmopolitan interior. Designer Philippe Starck has revamped the 1930s hotel into an organic arrangement of mirror work, informal accents and modern art. On offer here are 149 stylish and spacious rooms and suites, together with 3 ultra-luxurious apartment-style Presidential suites. An aura of relaxed sophistication is seen in each of these, thanks to elegant Mid-Century furniture and off-beat accents including acoustic guitars, angled mirrors and original artwork. Art is a key concept throughout the fabric of Le Royal Monceau-Raffles. 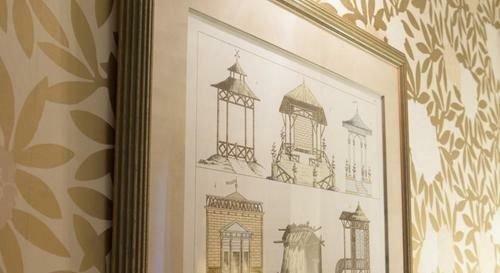 In addition to the artwork adorning its rooms and public spaces, the hotel also has a private art gallery. It also houses a 99-seater cinema, and a lavish Clarins spa, which includes the largest hotel swimming pool in Paris. Two Michelin-starred restaurants serve up a wide range of cuisines, and a sophisticated cigar lounge and terrace dining space complete the picture of contemporary sophistication. Paris is a great place to explore on foot, and Hotel Marquis Faubourg Saint-Honore lets you do just that. Located on Rue d’Anjou, this 5-star hotel places you within walking distance of both Concorde and Madeleine metro stations, as well as the famous Avenue des Champs-Élysées. Functioning out of a charming 18th century private mansion, which was once the residence of the Marquis de Lafayette, the hotel has an intimate setting, perfect for a romantic getaway. The 15 designer suites available here are plush, sophisticated and imbued with a softly-lit, clubby vibe. They feature hardwood floors, Louis XVI fireplaces, bookshelves, dressing rooms and gorgeous marble bathrooms. Top notch amenities and personalized service add to the exclusive experience of staying here. Hotel Marquis Faubourg Saint-Honore also has an all-day lounge, a bar and a private gym. An epitome of Parisian luxury and elegance, located in the heart of its most stylish and historic neighborhood, Prince de Galles Hotel has been impressing guests since as far back as 1928. Minutes away from the Eiffel Tower, the Arc de Triomphe, and the famous dining and shopping destinations of the Champs-Elysées and Avenue Montaigne, the hotel contains 115 elegant and comfortable rooms, along with 44 luxury suites. The interiors still exhibit the Art Deco elegance that has always characterized Prince de Galles Hotel, though bright colors, quirky fixtures and mismatched chairs add a delightful contemporary edge. A dedicated wellness suite, the Les Heures bar and the La Scène restaurant are major crowd pullers. A collection of ultra-stylish modern apartments, Residence Alma Marceau is located in a chic, upscale neighborhood, surrounded by embassies and designer boutiques. It is extremely well connected to the metro, and just a few minutes away from the Champs-Elysées. Apartments are available in single-floor and duplex layouts, and range in size from 1 to 5 bedrooms, all featuring attached terraces or balconies, tons of natural light, and a fine range of furniture, appliances and gadgetry. Other perks include private parking, daily housekeeping, complimentary Wi-Fi and optional in-room breakfast. Historic, iconic and exclusive, Saint James Paris offers you an unmatched experience in the French capital. Located in a quiet, refined residential neighborhood, away from the hubbub of sightseeing and shopping destinations, this stately hotel, with its gardens and driveway, transports you to a different era. Its 49 rooms and suites are delightfully eclectic, featuring vintage beds, plush modern sofas, and a vivid assortment of fabrics. A special suite designed for couples has its own spa, and another spacious unit is designed for holidaying families. 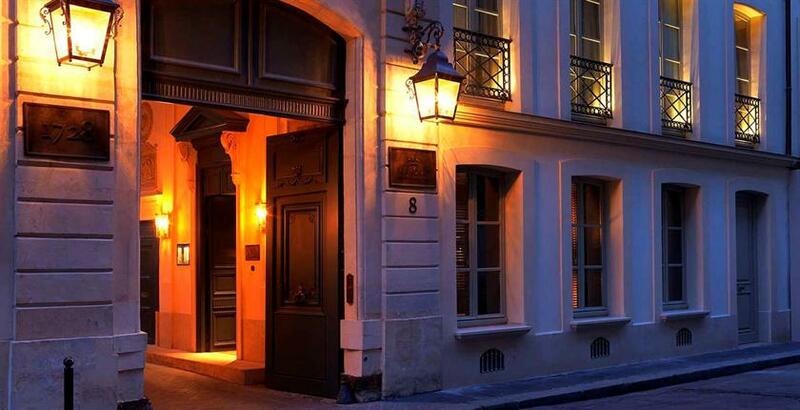 Saint James Paris also has a celebrated Michelin-starred restaurant and a charming library-bar. Journey into 17th century Paris, without missing out on 5-star luxury. 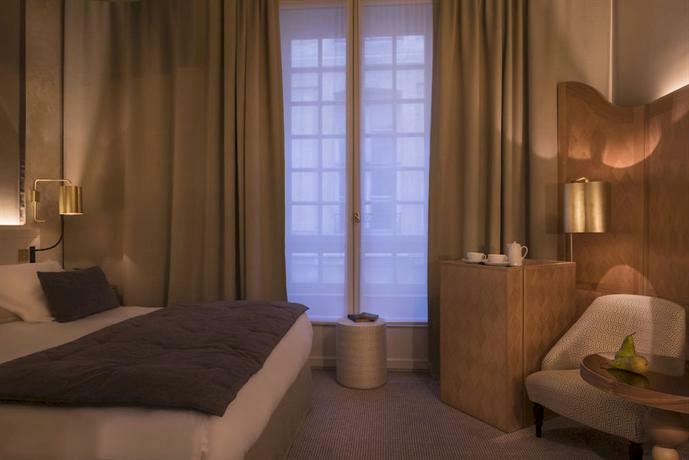 Hotel d’Aubusson, located in the culturally vibrant Saint-Germain-des-Prés, close to the Louvre, the Sorbonne and the Odeon, functions out of a heritage townhouse. A grand Burgundy stone fireplace, open beams and Aubusson tapestries adorn the interior of the hotel. Spacious, comfortable rooms and loft suites exude an old-world charm. A quiet winter patio lets you enjoy a relaxed meal, and the legendary Tabou Club is a great place for a drink. Cafes and art galleries line the street outside. 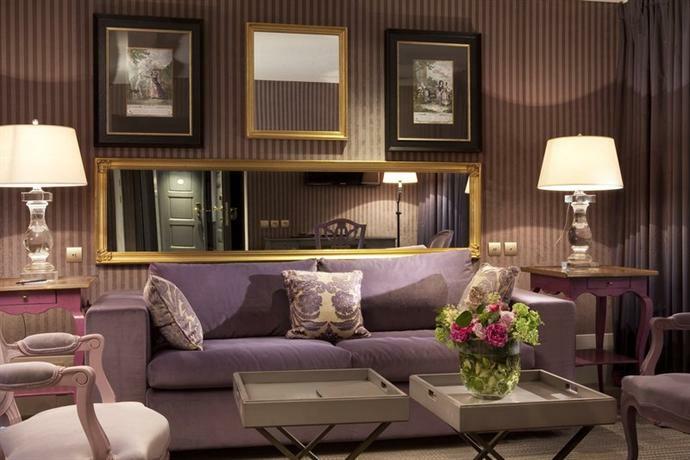 Located right opposite the Louvre museum, La Clef Louvre offers an exclusive range of serviced suites, equipped with state-of-the-art amenities and charmingly packaged in an Art Nouveau style building. The 51 suites are styled in a contemporary chic theme, and equipped with the space, furniture, appliances and amenities to qualify for fully functional luxury apartments. Wi-Fi is free, housekeeping is a daily affair, and an elegant dining room hosts a breakfast buffet. Pander to your artistic side by staying in the dreamy Hotel Relais Saint-German, located just off the Boulevard Saint-Germain, a couple of minutes away from Odeon metro station. Designed as tributes to famous French writers including Honoré de Balzac, Antoine Blondin and Proust, rooms and suites here have vintage writing desks, plush furnishings and great views. The hotel is also famous for its culinary treats, served in its tapas bar, brasserie and gourmet restaurant. Close to the Eiffel Tower and the Rodin Museum, and well connected to the metro, Le Cinq Codet operates from a 1930s building, now restored to reflect the highest standards of contemporary elegance. Its 67 rooms and suites are sophisticated, modern, and equipped with excellent amenities. Some suites have duplex layouts, private terraces, and even whirlpool tubs. A wellness spa offers a variety of treatments, while a resto-bar often hosts musical nights. 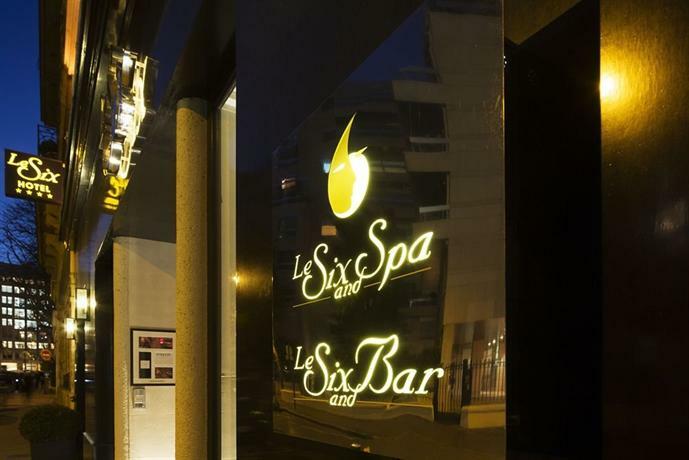 An upscale boutique hotel on the Left Bank, Le Six is set in a quiet street, its façade presenting an interesting mix of classical and modern architectural elements. Within it are 37 rooms and 4 suites, all designed in a refined contemporary style with soft color schemes, sensible furniture and modern amenities. The building also houses a wellness spa, a business center, and a hip bar lounge with a glass roof. La Maison Favart, located opposite the iconic Opera Comique, showcases an almost theatrical ensemble of furniture, finishes and accents. Rooms and suites retain their original 18th century magnificence, with high ceilings, ornate furniture and vivid wall patterns, while also incorporating flat-screen TVs, coffeemakers and free Wi-Fi. The hotel also offers two special suites, in a building that was once the residence of Charles Simon and Justine Favart Ronceray, of 18th century French opera fame. The cellar has a wellbeing area with a small swimming pool, gym and sauna. A breakfast room transforms into a bar later in the day.